German troops are close to Paris. Georg escapes to Marseille in the last moment. His luggage contains the legacy of a writer named Weidel, who took his own life out of fear of persecution. This legacy comprises a manuscript, some letters and the Mexican Embassy’s assurance of a visa. Taking over the Weidel’s identity, Georg tries to obtain one of the few passes for the boat left. In Marseille, he meets Marie, a young woman who is looking for a missing person. It is the wife of the missing writer. She was informed that her husband was seen in the city. She is far from suspecting herself of being in search of a ghost. And that ghost is George. Who falls in love, who dreams of leaving Marseille with her on “Montreal”, to make him forget the dead writer. They, like ghosts, refugee ghosts, dream about feeling like human beings once again, whether it be in Mexico, USA or Shanghai. Georg doesn’t want to lose Marie, to leave her in the realm of ghosts, disappeared and dead. He himself no longer wants to be a ghost. 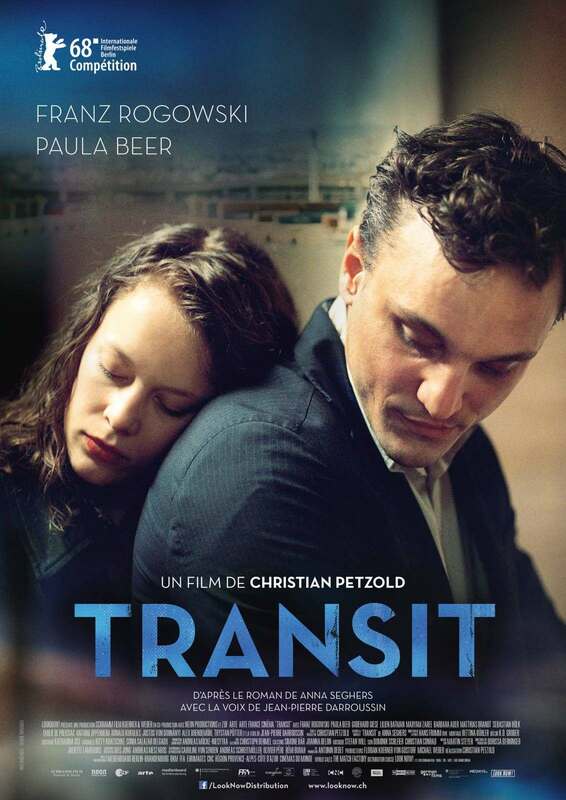 Christian Petzold was born in 1960 in Hilden, Germany. After studying German and Drama Arts at the Freie Universität Berlin, he enrolled in Berlin’s German Academy for Film and Television. He directed his first movie in 1995. ‘The way I feel’, which he presented himself at the International festival in Karlowy Vary, is considered to be one of the best German movies in recent years, and it also won the Golden German Film Award. After the premiere of movies ‘Ghosts’ and ‘Yella’ at Berlinale competition, he won the ‘Best Director’ award for the movie “Barbara” in 2012, which was nominated for German candidate for Oscar award that year.